The Guitar Music of Brazilian Composer Ernst Mahle. Free Sheet Music Downloads! Brazilian composer Ernst Mahle has composed a significant body of works for the guitar, including solos, concertinos, and chamber music for instruments and voices. Although often performed in Brazil, his music is less well known elsewhere. To bring his guitar music to a wider audience, this website has been created to promote and distribute his guitar compositions. All of Ernst Mahle's guitar music is available for free in pdf versions engraved by Mahle himself (or by Jeff Anvinson of JLA Music with Mahle's approval). Click on "Music" in the menu above to see a complete list of his guitar works. 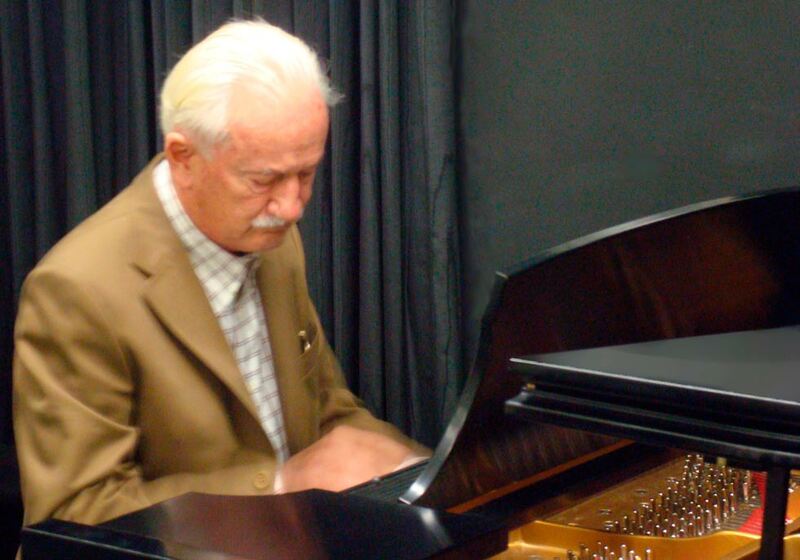 I first became acquainted with Maestro Mahle's music through one of his students, João Paulo Casarotti, who was a graduate student when I was a teacher at the university level. (He is now a university professor, concert pianist, and scholar.) With a colleague, violinist Eric Lawson, I was fortunate to perform Mahle's Sonata (1985) for Violin and Guitar many times in North Dakota, Michigan, Pennsylvania, Minnesota, and New York - as well as in Shanghai and Nanchang, China. I first met Maestro Mahle in Philadelphia where he was present at one of the performances. Impressed with his compositions, I asked him if I could promote and distribute his guitar music and he agreed. I have been trying ever since to get his guitar works in the hands of more musicians who can perform his music and get it more widely heard by audiences everywhere. In addition to guitar, he has written works for a large variety of combinations of instruments and voices, including chamber music, orchestral compositions, and operas. He is one of Brazil's preeminent composers. His guitar works are clearly worthy of much more attention. They represent an extremely valuable addition to the repertory. I hope that my efforts with this website will convince many more people to take an interest in Maestro Mahle's music so that it gets the consideration it deserves. Spread the word about the guitar music of Ernst Mahle!! !